Created by Ramesh Reddy on Apr 25, 2015 5:53 PM. Last modified by Ramesh Reddy on Apr 28, 2015 11:55 AM. Starting with version 8.10, Teiid team has released a Docker image for Teiid runtime. You can download the Teiid Docker image from Docker Hub. In this article, I will take you through the same Quick Start example that we have as introduction to Teiid, where integration between a File and Relational databases is shown. However in this example, I will be using Docker based Teiid and Docker based MariaDB database to run the same example. Please go through the Quick Start Example first and understand it, as here I will be not explaining about the example, but I will show you how to run the example using Docker image. You can use the techniques learned in this example to bring in additional sources or replace the sources to be integrated with Teiid. If you already have a existing database or any other NoSQL source already setup on a remote server, there is no reason for you to make that into a docker image before you can use that with Teiid. 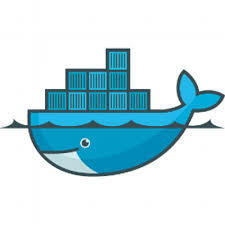 Note that using single Docker image for specific purpose is very simple, what is complicated is designing the interactions between the multiple Docker container images to accomplish a certain complete usecase. That process is also called as container orchestration. There are few tools that can help with container orchestration, but I wanted to keep this example easy and simple. So, I opted not to use any of those tools. It is also my assumption in writing this article that, you are familiar with Teiid and also how Docker works. If are new to Teiid, then I suggest starting at http://teiid.org going through some documents and examples, and if you are new to Docker start at Docker see how it works. So. let's begin with our example. The recipe for this example is at my GitHub repo at docker-quickstarts/data-federation along with data and VDB files required for the example. We have downloaded the data files required for this example, let's start with downloading the JDBC driver for MarilaDB, if you already have the driver, skip the following step and copy the driver file to location specified in the script. For configuration management purposes, I would like to design this example such that, I can easily edit the standalone-teiid.xml file or any other configuration file from JBoss EAP or Teiid. For that I need to run the Teiid container image once, and externalize (copy) the configuration directory. I want to run the JBoss EAP in "standalone" mode, so I need to externalize the "<jboss-eap>/standalone" directory from docker container to my local machine, and then configure the Teiid docker container to use this externalized directory. For that run the following commands. Start the MariaDB database and I am going to name the docker container as "accounts", as it represents the "Accounts" database from quick start example. Give different user and password information if you choose to do so. We have started the MariaDB database, but the schema for the Accounts database is not been created so far in the above MariaDB docker container, before we can use this database, we need to create the schema and fill in the tables with data. The Github data we downloaded at the beginning of the article contains necessary files for this purpose. The above command will open shell prompt, where execute the following statement to create the schema for "Accounts" database. # supply password as "mypass", my efforts to include on the cmd did not work. Now we got MariaDB instance, we need to create a Teiid instance, that is aware of the MariaDB instance by linking it and also uses the externalized configuration directory created before. The reason for linking the containers is, it makes the configuration of the system simple as you do not have to figure out the mapped ports etc between the container images. When you configure MariaDB 3306 port in Teiid docker images and they both are "linked", then Teiid container knows how to connect to MariaDB container. If the containers are not linked that will not be the case, and you would have to configure for the actual host and port information. Before you can connect to Teiid instance and issue SQL queries against it, we need to first create "admin" user and "application" user, just like in the traditional Teiid installations. For that execute the below commands, and follow the directions given to you by the script. For the "application" user give "odata, rest" as groups. The environment is now set up, we need to create the data sources in the Teiid runtime to access the MariaDB and also deploy a VDB for our quick start example. I have conveniently created a CLI file that can be run to create necessary configuration changes, otherwise you can also manually edit the standalone-teiid.xml file for it. Note that if you do edit the standalone-teiid.xml file, you need to stop the Teiid container and restart it for configuration changes to take affect. Or you can even open a shell prompt to the Jboss-cli.sh and execute commands. Take look at the below setup.cli file kind of commands I have put together for this task to get a feel for what you are doing. You can query Teiid container using JDBC/ODBC or OData. If you have custom web-services even those can be executed. and start issuing the queries. Don't forget you need to get the right ports for it again, as every time you restart the port mapping will be different unless you configure to use specific ports. That's it, enjoy. Let me know if you find any improvements in the scripts or want to contribute to other examples. I am already finding using the Docker images for data sources extremely useful as many times I have to test different versions of the same data source. Having a image readily available without going though lot of configuration is really helpful and fast.